Project aims: To tackle waterbodies failing to meet Good Ecological Status by working with landowners and partners to reduce diffuse agricultural pollution, restore physical habitats and control invasive non-native plants. Location: Six failing waterbodies and 268km of river length in the Upper Aire catchment above Keighley. This includes Broughton Beck, Eastburn Beck, Otterburn Beck and Earby Beck. Organisations involved: Yorkshire Farming and Wildlife Partnership, Environment Agency, Yorkshire Wildlife Trust. advice on woodland planting schemes. A small Capital Fund is available to contribute to river restoration works, such as watercourse fencing, bank restoration and alternative stock watering. Project aims: To reduce diffuse water pollution from agriculture in the Upper Nidd catchment by working with farmers and landowners. Targeting sediment, nutrients and colour. Project Aims: Darley Beck is failing to meet Good Ecological Status due to sediment and nutrients, particularly phosphate. The project aims to tackle these issues and improve riverbank and in-stream habitats by working with farmers and landowners. Location: Darley Beck sub-catchment of the River Nidd. Organisations involved: Yorkshire Farming and Wildlife Partnership, Yorkshire Dales Rivers Trust, Environment Agency, Nidderdale AONB. The project started in 2012 and will continue until March 2014. Claire Foster, Yorkshire Farming and Wildlife Partnership, delivers farm advice through 1:1 farm visits, including preparation of Farm Improvement Plans and Nutrient Management Plans (including soil analysis). A capital grant scheme has provided 90% funding towards watercourse fencing, alternative stock watering and watercourse crossings to reduce sedimentation. The project has worked closely with the River Nidd Catchment Partnership (CSF) to ensure the two projects complement each other. Project Aims: To reduce the risk of flooding and surface water pollution with woodland planting. Location: Targeted areas across Yorkshire and North East England. Organisations involved: Woodland for Water is a partnership programme delivered jointly by the Forestry Commission and the Environment Agency. Yorkshire Farming and Wildlife Partnership is approved as one of the local advisers. Under the scheme payments of up to £4800 per hectare and 15 years on-going grant support may be available for new woodland creation in locations which contribute to reducing flood risk and surface water pollution. 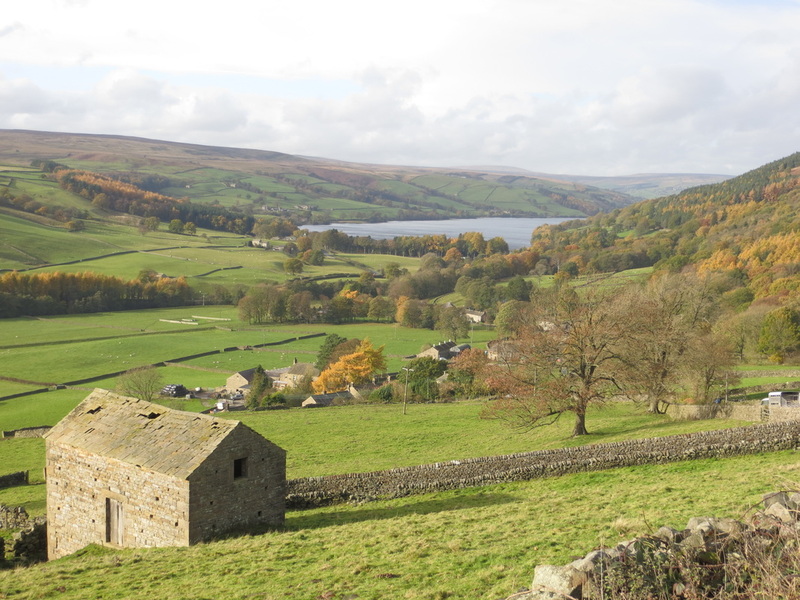 In the first year Yorkshire Farming and Wildlife Partnership submitted applications for farmers for the creation of over 27 hectares of new woodland. Project aims: Native tree and shrub planting to create more gill/ clough woodlands. Location: Upper Aire (Craven) and Upper Calder regions of North and West Yorkshire. Organisations involved: Woodland Trust, Yorkshire Farming and Wildlife Partnership, Bradford Environmental Action Trust, TCV, The Borough Council of Calderdale, Natural England, Forestry Commission, Environment Agency, Yorkshire Wildlife Trust, Yorkshire Dales Rivers Trust, Yorkshire Dales National Park, Nidderdale AONB, Yorkshire Water, Yorkshire Dales Millennium Trust. Free advice on tree planting in the target area, with support which may include free trees and guards from the Woodland Trust, and in some cases assistance with planting costs.